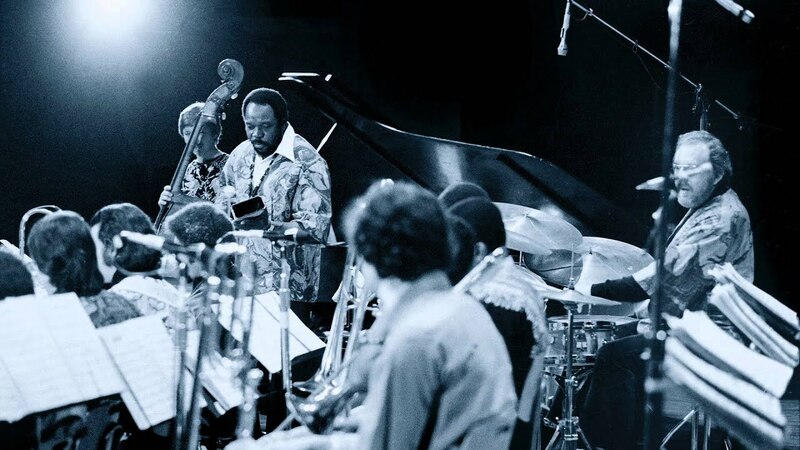 It was 50 years ago, on Monday night February 7, 2016, that the Thad Jones/Mel Lewis Jazz Orchestra played its first notes in the famed Village Vanguard in New York City. College student, jazz aficionado, and recording engineer George Klabin was seated at a smalltime near the stage with a 2-track tape machine and a 4-channel mixing board capturing every sound with 6 microphones place strategically around the various sections of the band. Messrs. Jones & Lewis used the tapes to get a recording contract while Klabin was allowed to play the music on his radio show on WKCR-FM at Columbia University. 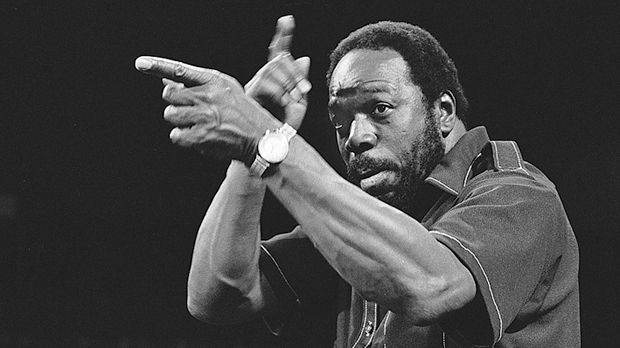 When Thad Jones (pictured left) left the Count Basie Orchestra in 1963 (where he had been a featured soloist on trumpet and flugelhorn as well as an arranger and composer), he had a number of pieces that he had never used. Just a few months before the end of 1965, Jones got in touch with long-time friend and drummer Mel Lewis (who had earned his stripes in the large bands of Stan Kenton and Bill Holman as well as dozens of small-group recordings) to create a rehearsal band to play these pieces. By February of 1966, they were ready to face an audience and both the Thad Jones/Mel Lewis Jazz Orchestra and a long-standing gig were born. Klabin's tapes have long been "bootlegged" and never available to the listening public but all that changes on February 19 of this year. That's when Resonance Records, owned and operated as a non-profit by Mr. Klabin, releases "All My Yesterdays: The Debut 1966 Recordings at the Village Vanguard", a 2-CD set that includes not only the best of the cuts from the February 7th gig (several that never appeared on any bootleg) but also music from a Monday night 6 weeks later (March 21). If you have any of the previous Resonance releases, you'll know that the packages always include several essays, great photos, and stories from participants. This new CD will have a package that includes a 92-page booklet with numerous essays and never-before-seen photographs. To find out more about performance, go to www.villagevanguard.com/#!schedule/c1enr. To find out about the upcoming CD, go to www.resonancerecords.org/release.php?cat=HCD-2023. Take a look in the top right-hand corner of the blog and you'll see that The Jazz Session is...well, it's back in session. Its proprietor, Jason Crane, is now living in State College, PA, where he is the program director and show host on 98.7TheFREQ-FM. For those of us who have listened over the past 8 years, this is great news. Mr. Crane is an enthusiastic and well-informed interviewer who has helped to bring artists to the attention of an avid audience. Now, go to thejazzsession.com and take joy in his return and the music!